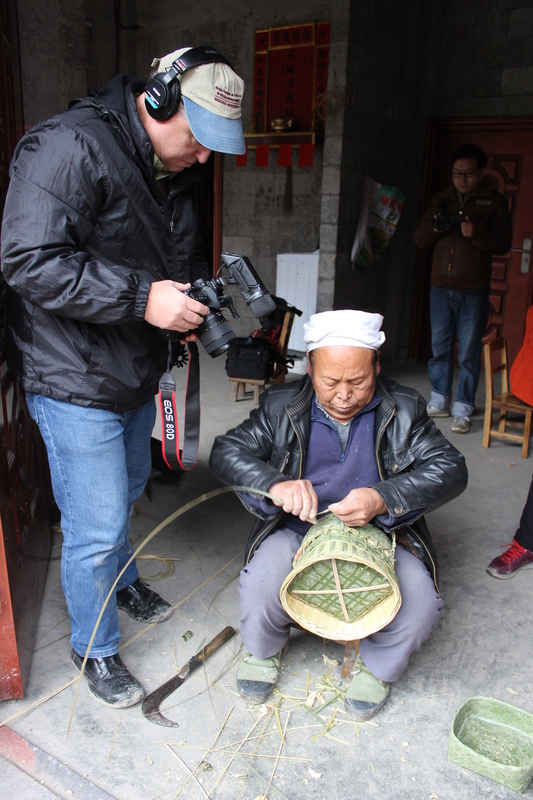 During his second day of work on it, Mr. Li Guicai added the functional and decorative base to the double-woven sticky rice basket with lid. December 15, 2017. Photograph by Jason Baird Jackson.